The USC Trojans this season has been anything but exciting. This was a team ranked #1 at the end of August, defying all the odds, overcoming their severe sanctions some still consider an unfair NCAA punishment, thanks to Mr. Reggie Bush. With their 2 year sanction lifted they have (had?) a chance to compete for a national championship, which in turn has caught the attention of College Football, especially the all-mighty winning SEC. 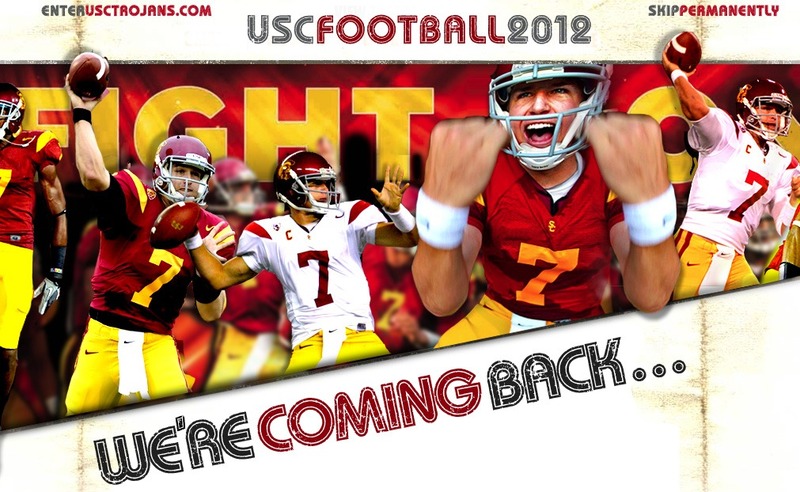 Quarterback Matt Barkley made a huge announcement last December deciding to stay his senior year and play with no-longer-in-the-dog-house Trojans. 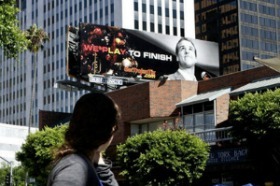 Huge billboards were erected throughout the LA area, even Bruin territory Westwood, displaying a picture of Barkley standing behind a microphone podium at that same December announcement press conference with the confident declaration spelling out, “We Play to Finish.” Before the season even started, all of college football land was buzzing over Barkley winning the coveted Heisman Trophy. He had a tremendous Junior year season, why not dream a little? The Trojans started off the season so promising, full of hope and new beginnings. Now that we are in the second half of the season, the Trojans aren’t looking to play for a national championship, aren’t looking to win a Heisman, aren’t even looking to dazzle fans nor intimidate other teams with their fully equipped and talented offense. 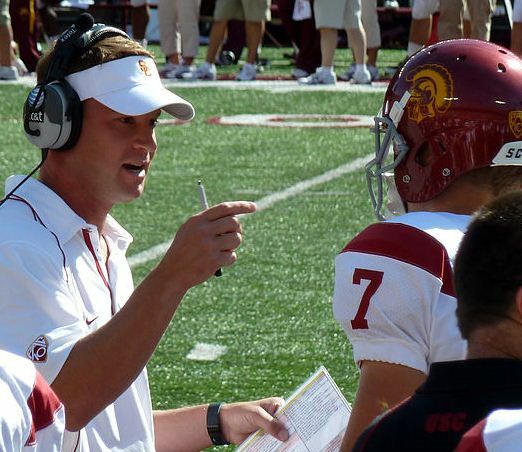 Lane Kiffin and his Trojans are just looking to win the next game. USC has been playing like they are asleep to say the least. 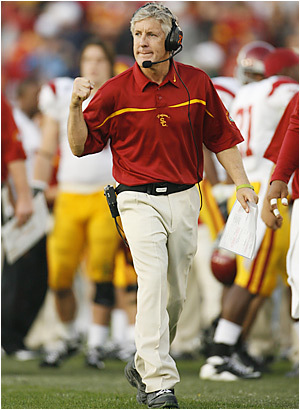 As a die-hard Trojan fan who lives and breathes college football there is only one question: Who to blame? I know, I know that is the easiest way to place the problem on someone else, to look to someone for answers but maybe, JUST maybe, there is no one to blame. But hey, that wouldn’t be the style of this blog fools. Case and point: the head coach. 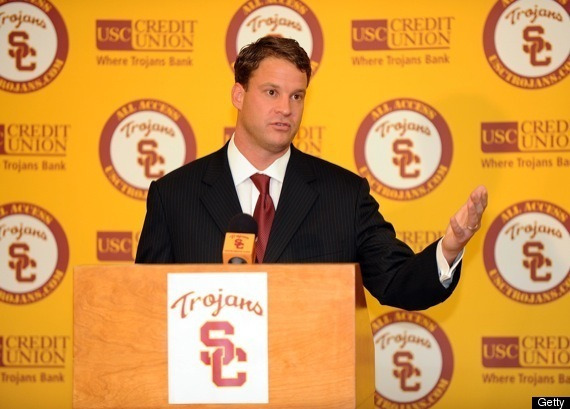 Is it just me or has Lane Kiffin been really screwy this season? Aside from him bolting away from reporters and failing to comment on injured players, his coaching is questionable. Relying far too much on the running game which only turned out ok in the Cal game, rushing for over 200 yards (the best of the season thus far), rather than using his killer offense: Matt Barkley’s arm, receivers Robert Woods and Marquise Lee. Wasn’t this visor wearing blondie a championship winning Offensive Coach?! What gives?? I am not trying to downplay the run game, I have nothing but love for Venice Gondo Curtis McNeal as well as Penn state transer Silas Redd who has proven himself to be a BEAST. But Kiffin seems to have been persistently “protecting” Barkley, not calling any long pass plays and instead opting to call the same run plays, thus not giving the opposing D lineman a chance to sack SC’s beloved prize possession. Wouldn’t that prize possession seem more like a prize with a Heisman Kiffin? Wouldn’t be too shabby Kiffin’s focus is now just on winning, he doesn’t care by how much or with what strategy….just as long as we win. Now that to me doesn’t sound like a championship worthy team. Don’t you miss Pete, marching up and down the field like he owns the place. And then there is little white visor Kiffin, hiding behind his lamanated play card. Hey the guy is clearly trying his best but his best isn’t working. It’s not only the fans that are frustrated but the players as well. What game is this again….? Oh that’s right, FOOTBALL. I think you are going to get hit a few times when playing the most violent sport in America. Good GOD Kiffin. Do you wear that white visor every game to protect you from those sunlight beams containing crazy?! Yea, I didn’t think so. Barkley obviously doesn’t feel the same. “I’ve never heard that from him,” he said, the surprise showing clearly in his voice. “I can take any hit. That’s surprising.” UGH. Punch me in the face. Barkley isn’t hurt Kiffin, CLEARLY. Play the guy who stayed his senior season with the intention of blowing everybody else out of the water. Why have such a great offense last year and not have one this year? You have all you need no? Kiffin just doesn’t make sense to me. It is good that they are winning but they aren’t winning they way we all thought they would, the way they deserve. It may sound a bit bitchy but just winning sometimes isn’t good enough. It’s not good enough for a team that was once ranked #1. They should be on the same level as Oregon, defeating teams by 30 points+. 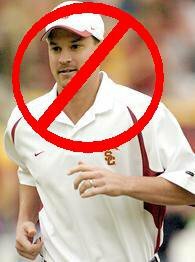 But sadly no, there will be no joy in TrojanLand with Kiffin calling the shots 😦 There is still hope that the Trojans will finish strong and I know they will. Maybe strong enough for Kiffin, but not strong enough for the rest of us.